The higher the stakes, the greater the division. That is a law of history. America was never so divided than over our Revolution and the Civil War. Short of war, we were never so divided as over the adoption of the Constitution, which fundamentally changed the balance of power between what were powerful nations states and a new federal government. Today, the Supreme Court wields enormous power. Think about it. The Supreme Court’s decision on ObamaCare determined the flow of hundreds of billions of dollars on health care over time. Meanwhile, the Left uses the Courts to determine many social justice issues. That is why their is bitter division over the Kavanaugh Supreme Court appointment. 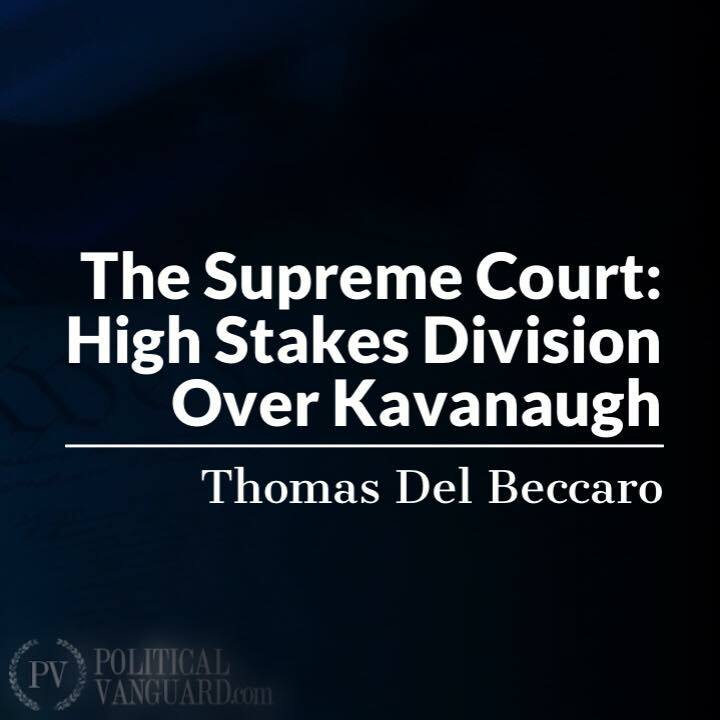 He changes the balance of power on the Supreme Court slightly to the right. The Supreme Court more than matters. For that reason and many others, we truly are in The Divided Era.